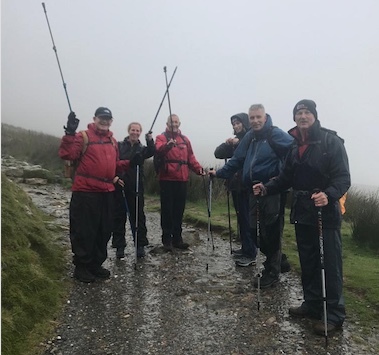 WE have been following the progress of the HTS team as they take on the Three Peaks Challenge in aid of St Clare Hospice. First things first. Here is how you can sponsor them. They are well aware that it costs £10,000 a day to keep the Hospice going. So every penny helps. Through the wonders of WhatsApp, the hardy team have been chronicling their ups and downs.